I was multitasking and binge-watching the ever-popular Orange is the New Black when I had to look up from what I was doing to make sure what I heard was right. If you are a fan of the series and are trying to avoid spoilers, Don’t read after this bold print, okay?? In Episode 6: “Ching Chong Chang”, our favorite hopeless romantic and creepy stalker Lorna Morello has struck up a new relationship with Ron, her brand new prison pen-pal. During his visit, they talk about their love of anime, and Ron talks about a horse-fight at “the expo” involving one of our own. Below, are screenshots with captions from the exchange that happens around the 28-minute mark. If the image below is hard to read, click to enlarge. I’m also wondering if this might have been a jab at the brony fandom from the writers? Have any of you gotten into weird fandom fights with fans? Edit: For those who want to watch this episode, watch it on Netflix here. Sad News – Please Support Sully! Over the last few years I have gotten to know the wonderful Sarah “Sully” Sullivan, and she is one of the nicest people in the anime industry I have ever met. Since we started Operation Moonrise back in 2009, I quickly learned that there are very few women who work in the anime industry. I will never forget her kindness and her warmth over the years, not only talking about Sailor Moon matters, but also her words of encouragement when I was going through a tough time in the last couple of years. I am sure many of you have also met Sully at various cons, or attended cons and/or presentations that she helped plan. Sully is also connected to the new generation of Sailor Moon as an associate agent with Point of Contact Booking, which is representing many of the new actors involved with the Viz redub. Last night, I learned she had been diagnosed with breast cancer and is facing a challenging journey. A gofundme page has been set up to help cover expenses and if you are able to help, please do. 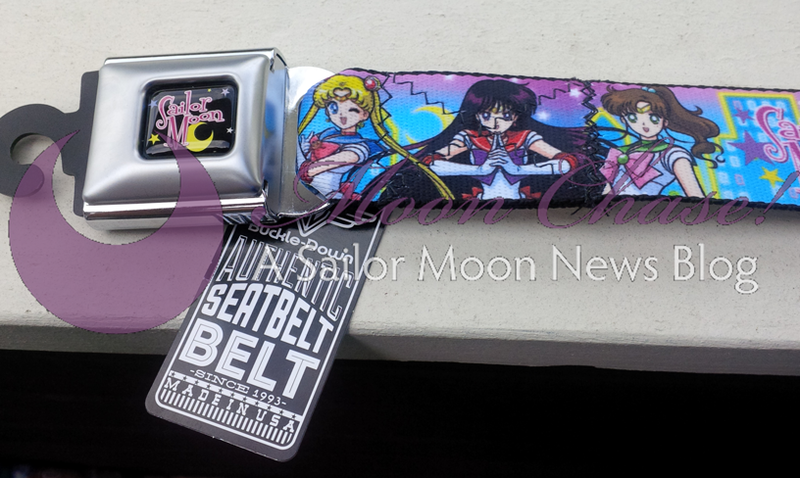 New Buckle Down Seatbelt Belt Design! Hi Moonies, Sailordees here! I just want to let you know I have spotted what I think (?) 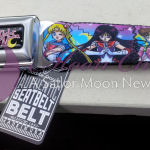 is a new Sailor Moon seatbelt belt design from Buckle Down. I spotted it at my local 2nd and Charles and did not see it at Hot Topic or Spencer’s. I have no idea where this can be found online and if any fans spot it elsewhere, please let us know! I am actually a fan of this design – when I was younger I really liked the neon cityscape that was used in the first opening of the series and I’m glad it has returned! 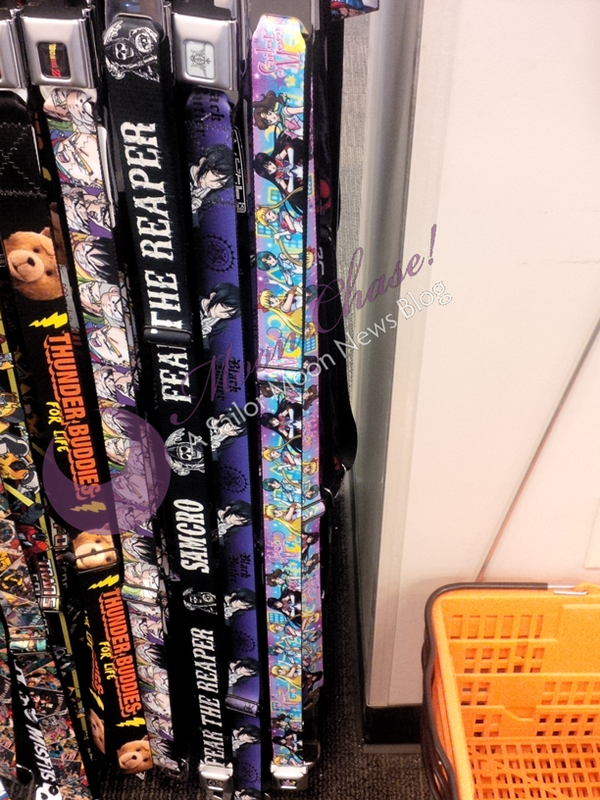 I snapped a couple photos of the belt’s design up close so you can all see. On another note, I know we are behind but I am hoping to get things sorted out this Summer with some more staff. I am aware that there has been a lot happening in the last year, with new merchandise coming out in Japan as well as on this side (what do you all think of the Premium Bandai clothing? 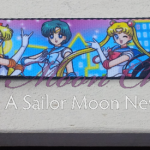 Would you like to see more “couture” Sailor Moon things on this side of the ocean? What do you think about all the Hot Topic T-shirts with singular characters that were released lately? ), and finally the new series is going to make its debut this Summer. Thank you all for your patience – graduate school, travels, and a bazillion other things have left me with little time for much else. I want to also thank Emily and Moon-Cookie for having held up the fort amazingly well in my absence :).